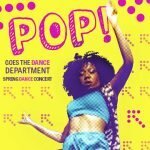 Events By Tag Name - " dance "
Don’t miss this hypnotic celebration of pop-inspired dance and make it a fun night out with friends and family! RSVP to the party! Don’t miss this expressive, unforgettable performance that will move you from deep within. Tickets can be purchased and reserved through Ethington Theatre Box Office. General admission can also be purchased online by selecting the desired show date below. Discounted tickets are available for seniors, military, GCU and GCE employees, GCU alumni, children 12 years and younger and GCU students. Please call Ethington Theatre Box Office for more information. 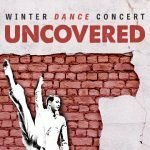 Grand Canyon University’s 2018 Winter Dance Concert exposes pure movement from various dance forms, stripped away from the trappings of the theatre. Feel the power of dance from an unencumbered point of view. Our choreographers and performers will dig deep to reveal truth about our experiences as humans. The stage will captivate in its rarest state—uncovered. 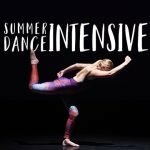 Dance students are invited to a week-long overnight* camp at Grand Canyon University! Come develop your skills through instruction with fellow dancers. All classes are taught by distinguished dance faculty and guests, assisted by teacher candidates from GCU’s Dance Department. 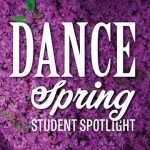 Support the dance department at the Spring Student Spotlight Dance Concert! 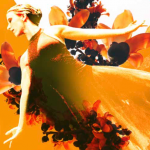 Enjoy inspirational choreography performed by GCU students and celebrate the arts. 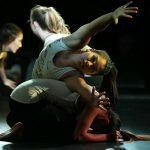 The College of Fine Arts and Production gives dance educators and their high school students the opportunity to spend the day with GCU’s dance program.